Sometimes we're just craving a great big salad for dinner. Whether it's because we've been eating lots of treats and our bodies are screaming for a vegetable, or if we just want something quick, easy, crisp, and fresh to eat. 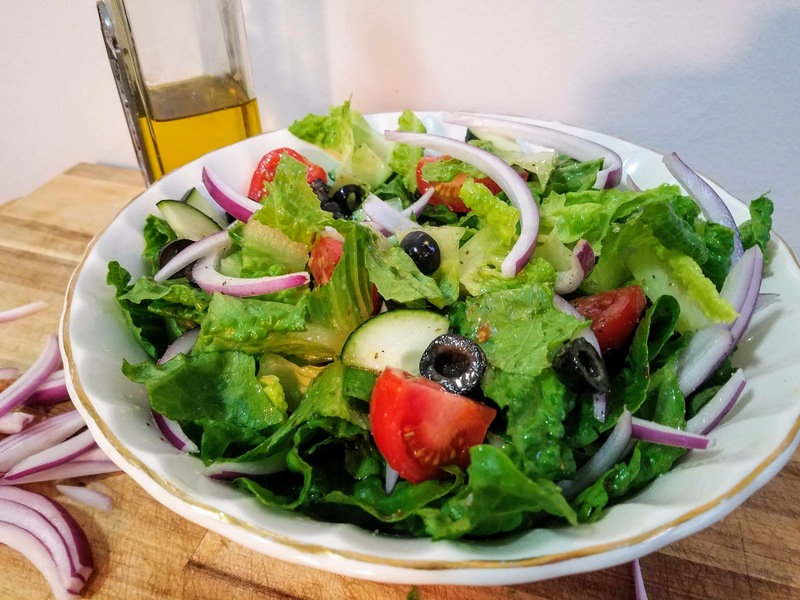 We'll often throw together a simple Greek salad (minus the typical feta cheese topping), and sometimes pair it with fresh crusty bread and olive oil. 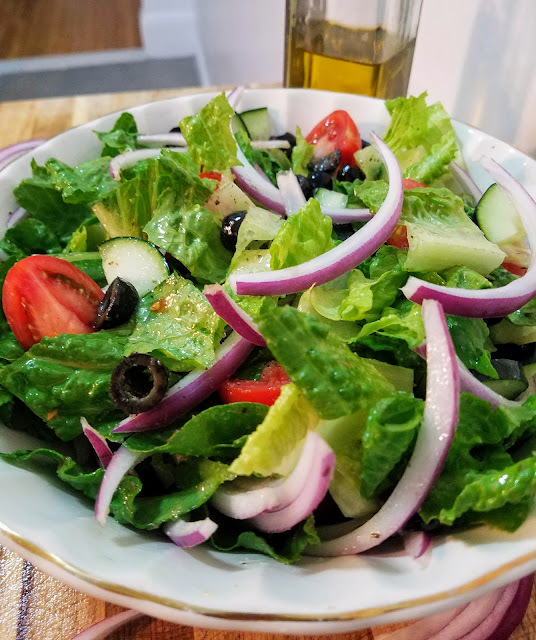 The dressing for this salad is really healthy, and full of bright and rich flavors. It helps if you have good quality olive oil, but basically, the combination of olive oil, lemon juice, dried spices/herbs, and salt will never fail you. Taste test to make sure you have balanced flavors, and season to your preferences. 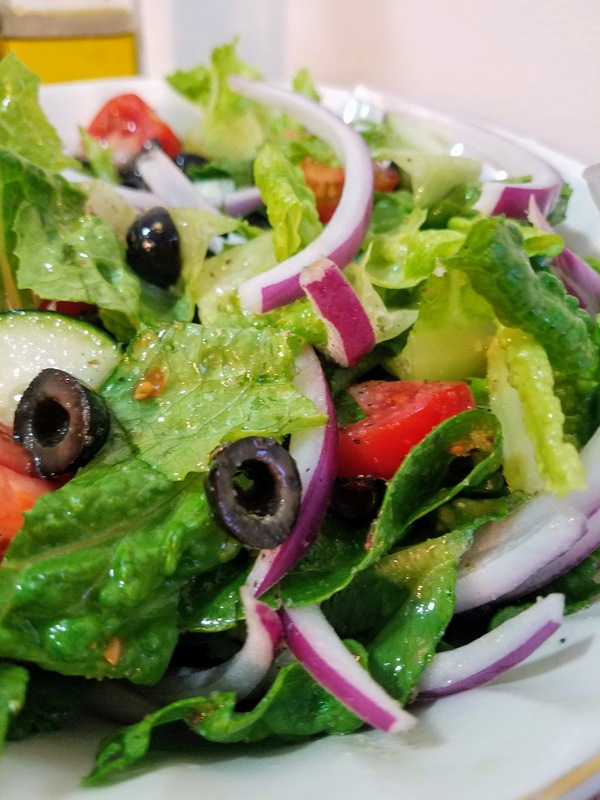 Sometimes there is nothing better than a hearty and healthy crisp salad with lots of yummy toppings. You could also add chickpeas or cannellini beans if you were looking to add a little protein and make it a heartier meal. I also recommend making a big version of this salad on Sunday evening or Monday morning, and eating this for your work lunches throughout the week. 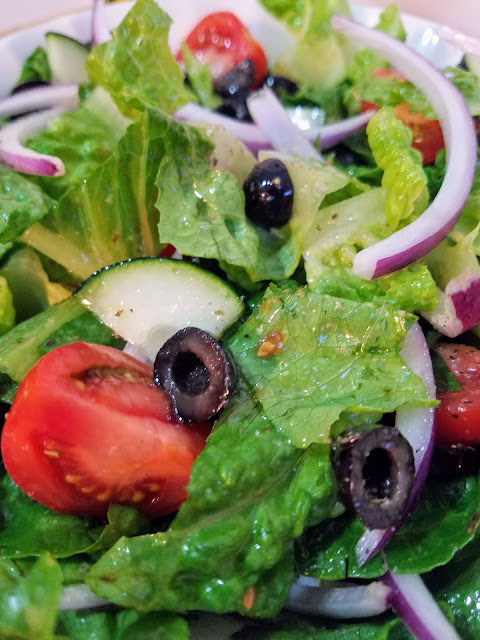 The salad just gets better the longer it sits in the dressing. Trust me, you'll be glad you did! 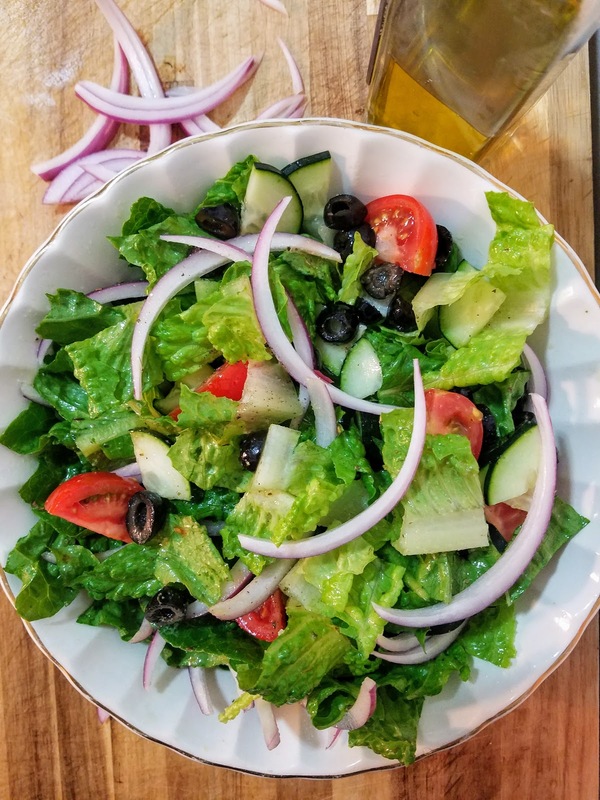 In a large serving bowl, add lettuce, tomato wedges, chopped cucumber, black olives slices, and red onion slices. Sprinkle with a generous dash each of salt, garlic powder, and oregano (season to taste). Drizzle with olive oil and lemon juice, and toss to coat evenly. Serving suggestion: fresh bread and olive oil for dipping.